I've enjoyed a great many hours in RimWorld. It has charming visuals much like Prison Architect, but you're building a colony with a choice of different AI behind the scenes. The game has sold over 120,000 copies directly from its website (myself included, I personally purchased my copy long ago). The developer has also given me a Steam key recently. The Steam release marks a huge new "update 14" which includes a new scenario system, the amount of possibilities with this system are huge. It also features Steam Cloud saves, Steam Workshop support, new animals, new things to build, improved AI and it's just a huge release! Note: It's Early Access, so it is not finished! 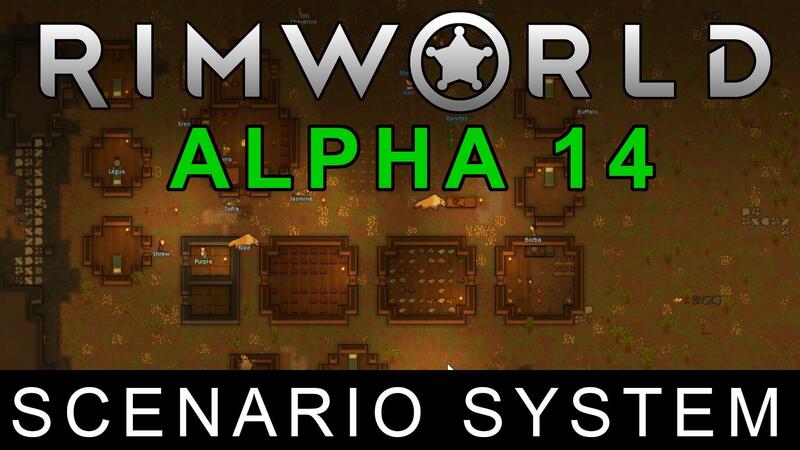 RimWorld is one game I can recommend without hesitation. Very few games get such an easy mark from me, so do check it out. Yes! I backed the original Kickstarter campaign, and while I've enjoyed playing some of the earlier alphas released to backers I find the hassle of having to manually re-download each new version a pain. (Yes, I'm lazy. ) I'm really looking forward to having it on Steam finally. As long as I can get updates without using Steam, I'm good. It seems that I sank about 24 hours into this game in just two days... probably should be a good one. I guess. Took the plunge With the Steam release, and it's thoroughly enjoyable already, probably my favorite EA title so far. Can only imagine what steamworks and scenarios will add With time(not to mention the actual game updates from the devs). Definitely Worth checking out!